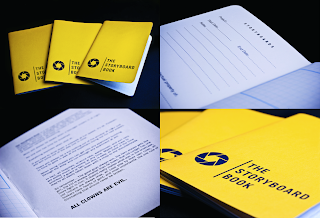 "The problem with all those other sketchbooks is they’re pretentious and overpriced. 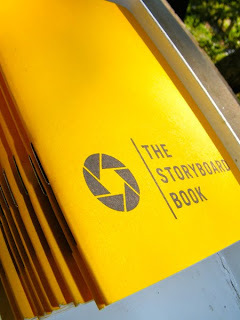 The Storyboard Book is for the People! 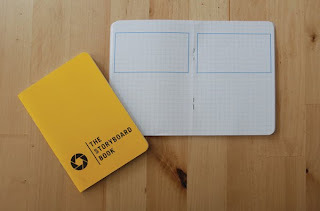 A lightweight, portable, and durable sketchbook for storyboarding, sketching, listmaking, visualization, plans, doodles, and just about anything else. The idea is simple: a frame for the action and space for notes, story, dialog, stage directions, enemies lists, etc. 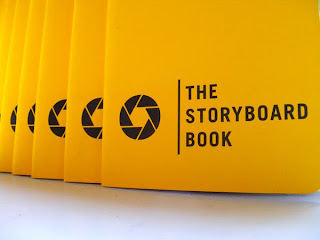 The Storyboard Book is designed to be used as a personal sketchbook, but also sized to be handy for project notes and ideas." Check out the website for purchase or more info. 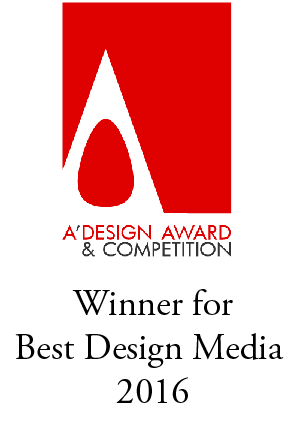 That logo looks alot like the Aperture Science logo from the game Portal, released by Valve in 2007..